Parents, do you want to know what the best cars to buy for your graduate are? If you want to truly give your child something special, do your research and find a vehicle that is best suited for their needs. To help move along the car-buying process, we have created some helpful guidelines to consider when buying a car and have included a short list of some of the best cars to buy on the market. What Are the Best Cars to Buy for Grads? 1. Teens are accident-prone. According to government officials, they are nine times more susceptible to crash than middle-aged men. The cause? Much of this is attributed to their sheer inexperience. As you make your selection, be sure to pick a car with minimal distractions and lots of built-in safety features. 2. 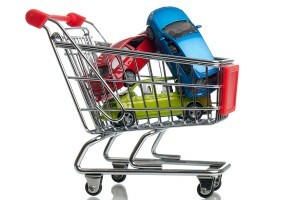 When considering the best cars to buy for your teen, avoid large SUVS or trucks at all costs. Big cars allow for the transportation of more passengers. Many states have restrictions about how many passengers are allowed in the cars of young people. These laws exist to protect young motorists from distracted driving. So, as you make your car selection, be sure to avoid large-capacity vehicles. 3. Always examine the safety features of the car in consideration. Do not rush into buying any car without knowing everything about it. For safety information that is specific to a certain make and model, reference Consumer Reports , a trusted car source. Once you’ve taken the following factors into consideration, you are ready to shop. Below, you will find a list of some of the best cars to buy for your graduate. This car earned some serious brownie points for — you guessed it — its great safety features. Did you know that the 2013 Ford Focus got the TOP SAFETY PICK+ award, an honor that is granted by the Insurance Institute for Highways (IIHS) and the National Highway Traffic Safety Administration for the highest five-star safety ranking? The minute you open their website, the words “delivers true performance in every aspect by combining power with precision” are visible. Wow, safety combined with performance. Now that sounds like a winning duo! When it comes to features, this car is a real winner, giving you some serious bang for your buck. This car was named the 2012 North American Car of the Year. Want to know why? This energy-effecient car packs some real perks. In addition to being “green,” this car has tons of safety and security features, including six airbags, side and rear curtain airbags, side impact beams, standard anti-lock braking system, traction for an improved grip, special passenger safety features, electronic brake-force distribution, and many more. Simply put, this car is the complete package. When it comes to safety, the civic has what they call an ACE II or Advanced Compatibility Engineering II. Made to protect passengers in the event of a car crash, this car has a crash compatibility frontal collision feature that lessens the force transferred to the passenger compartment. It also has an anti-lock braking system, daytime running lights, and the SRS or the dual-stage, and multiple-threshold front airbags. Additional safety features include an Intelligent Multi-Information Display (iMID) that comes complete with a Bluetooth hands-free link that lets you make phone calls. As a parent, you know how important this last feature it. As you decide what the best cars to buy for your graduate are, know that there are a number of great options available. The key is to consider safety features and conduct some thorough research before making a purchase. When it comes to deciding which cars are best to buy for your graduate, know that the safe ones are always a guaranteed win. For auto service or repair, call Sallas Auto Repair at (816) 765-6060 or (913) 381-4555 today. *Please note that the views expressed in this article aren’t a representation of Sallas Auto Repair — this list of the best cars to buy your graduate has been provided for informational purposes only.